Congratulations to our April Volunteer of the Month, Jennifer Contreras of Knox County! 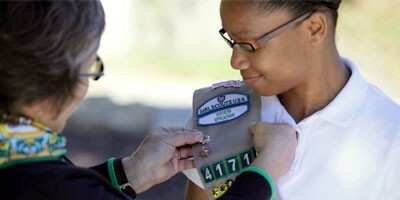 Learn more about Jennifer and the difference she has seen Girl Scouting make. Guest Parent Blogger Delea Patterson shares how the Cookie program empowers girls. All three awards give girls the chance to do big things while supporting an issue they care about.